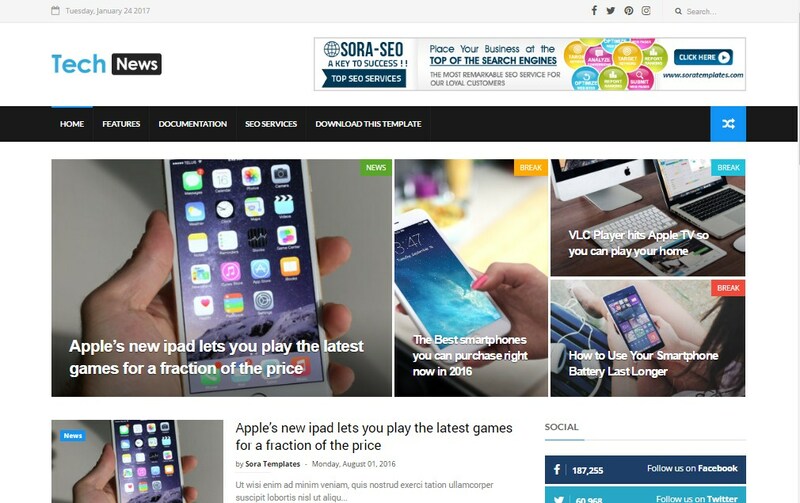 Tech News Blogger Template is a premium flat, clean, super flexible and fully responsive blogger theme, best suited for Technology, News or Blog Websites. Tech News Blogger Template comes with modern design, speed and ads optimization. We put a lot of effort and research in making this Blogger Theme the best one you can find out there. The theme comes with a lot of features and easy to customize. The theme is very flexible and super easy to use. It is packed with tons of features and custom widgets. We hope you will enjoy it and have a good time publishing your articles. And don’t hesitate to ask us for help.